Thousands of bullocks, camels, sheep, and horses will be traded in the fair. Several fun activities and competitions for tourists will also be held during this three-day long cattle fair in Nagaur. The festival aims to showcase the glorious history and culture of Chittorgarh though different forms of art. The festival will take tourists on a journey of Mewadi and Rajasthani culture through different activities. Bookaroo Lit Festival aims at giving children an opportunity to interact with prominent personalities from several fields of art and literature. More than 27 authors, illustrators, storytellers and performers from 12 different cities will be part of this two-day long lit fest. 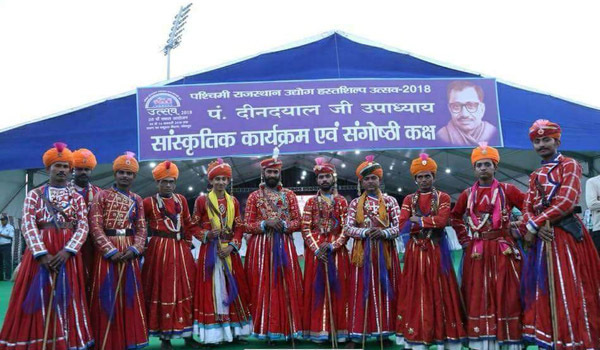 To be organized on the dunes of the Thar Desert, the festival aims to showcase the colorful culture of Rajasthan through various activities, competitions, and cultural performances. A large number of foreign and domestic tourists from different parts of the country have started reaching Bikaner to attend this two-day long Camel Festival. The Rajasthan tourism department has completed all the preparations. The five-day long film festival is an initiative by RIFF film club and is supported by Rajasthan tourism department and ministry of tourism of India. Several artisans and craftsmen from more than 18 states of the country are participating in the event and will display their work and craftsmanship through live demonstrations. Their work is being showcased at more than 700 stalls in 16 domes at the event. Over the years, the International Kite Festival of Jaipur has become one of the most attended festivals in Rajasthan. The city experiences huge participation from several people and professional kite fliers during the event. S. S. Rajamouli reached Jaipur along with his son and other family members on Thursday. The wedding is taking place at Hotel Fairmont on Jaipur-Delhi National Highway near Kukas.